Possible last minute late availability Christmas and New Year vacation holiday rentals Spain, France, Mallorca, Majorca, Menorca, Ibiza, Greece and Italy holidays at the lastminute! France Loire Valley: 19th Century Chateau sleeps 10/12 in elegance and comfort. Swimming pool and 20 acres of grounds, with breathtaking views. Perfect base for exploring the famous chateau, wine caves and historic towns of the Loire. The Chateau is also the venue for photography workshop courses by a leading portrait and fashion photographer 2019: Good availability - please enquire..
French Riviera Villefranche: Beachfront studio apartment with fantastic view of Villefranche bay and a private garden. You could not be nearer the beach without getting wet. Ideal for a holiday, or for working in an evocative environment - perhaps writing that first novel. Air conditioning and Broadband Internet make this the perfect French Riviera get-away accommodation. Beautifully appointed studio apartment sleeps 1-2. 2019: Good availability - please enquire..
French Riviera Cap d'Antibes: one bedroom appartment with sofabed in the living room and attic accommodation near the Garoupe beach 2019: Good availability - please enquire..
French Riviera Nice: 1st floor apartment near the old city and the port of Nice (sleeps 4) The southern exposure allows for a pleasant stay. You will find everything you need at the “centre commercial Nice TNL” that is just down the street. The train station is just a 5 minutes walk away from the apartment. 2019: Good availability - please enquire. French Riviera Cap d'Antibes: spacious, light and airy Antibes apartment to rent sleeps 4 with 1 double bedroom and double clic-clac (excellent French sofabed) close to Garoupe beach and food shops With Broadband ADSL - ideal for long let for people who need to work whilst enjoying a good climate 2019: Good availability - please enquire..
French Riviera Antibes Old Town: studio apartment rental in old town within the Ramparts 2019: Good availability - please enquire..
French Riviera Villefranche Waterfront rental appartments Just a few steps from the beach and with stunning panoramic views from the balconies of this most photographed buildings, these two appartments must rank among the most romantic places to stay on the French Riviera. Both appartments can see 4 but 2 is better. Apt 1 Provencal Waterfront Penthouse: 2016 . . . : Good availability.. Apt 2 Jewel-box Waterfront Apartment: 2016 . . . : Good availability..
French Riviera Le Suquet (Old Town Cannes): Air conditioned studio apartment with ADSL Internet access. Narrow streets, small shops, fresh baguettes and coffee right on the door step, minutes from everything in the heart of Cannes - sleeps 2/3 2019: Good availability - please enquire..
French Riviera holiday apartment Apartments for rent in exquisite old villa in the Old Port district of Nice. These suites sleep 2 and are perfect for visits to Nice and for exploring the French Riviera with nearby Villefranche, Monaco and Menton on the Italian border. 2019 . . . : With a dozen apartments in the villa we normally have availability! French Riviera Antibes Port Vauban: studio apartment to rent in new building with view over the Port 2019: Good availability - please enquire..
French Riviera Old Antibes Town: Studio apartment in old Antibes Newly refurbished apartment with the charm of th eold town and easy access to port, market and beach. 2019: Good availability - please enquire..
French Riviera Central Cannes: charming 3 bedroom apartment to rent beautiful and bright, totally refurbished three bedroomed apartment to rent on the first floor of a lovely old building, very close to Rue d'Antibes, the Croisette and the Palais de Festival, with balcony over wonderful pedestrianised street with many chic shops and restaurants. 2019: Good availability - please enquire..
French Riviera Cap d'Antibes: apartment in old villa to rent near beach offering individually 1 double bedroom and double sofabed (special comfortable French variety) in large living room or together 2 bedrooms and living rooms in superbly convenient location 5 minutes walk from the beach - so a pool is unnecessary. With Broadband ADSL, ideal for being able to work whilst away . . . 2019: Good availability - please enquire..
equipped. Can sleep 6. 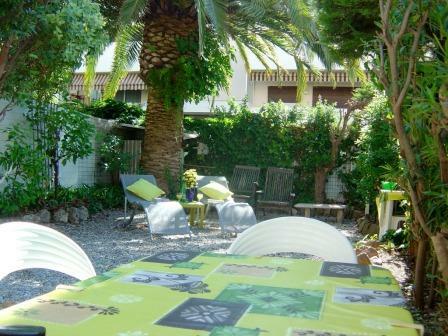 2019: Good availability - please enquire..
French Riviera Central Cannes: Delightful garden studio sleeps 2-4 just off La Croisette. Charming private garden and sun terrace. Very peaceful in quiet exclusive gated road with no noisy traffic and own parking. It even has a hot & cold shower under a secluded bay tree... perfect! Ideal holiday and conference accommodation. 2019: Good availability - please enquire..
French Riviera Villefranche sur Mer apartment to rent near Nice Old town apartment recently renovated very beautifully in small town full of character with sea views. 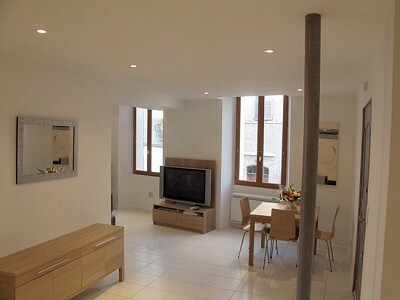 1 bedroom Apt 1 Sur le Toit: 2019 . . . : Good availability.. Apt 2 Artist's Atelier: 2019 . . . : Good availability..
French Riviera Villefranche Old town rental appartments with sea views. Two one bedroom apartments beautifully renovated and decorated with original art, great lighting. Each apartment has an office or desk area with wireless broadband if you need to catch-up with some work, do some writing or find out about local events on the Internet. Apt 1 Sur le Toit: 2019 . . . : Good availability..
French Riviera holiday apartment Apartments for rent in exquisite old villa in the Old Port district of Nice. Our spacious apartments sleep 2 to 4 and are perfect for exploring Nice and the French Riviera with easy access to Villefranche and Monaco and going further to Menton on the Italian border. A good bus service from here facilitates visiting or working in Monte Carlo. 2019 . . . : With a dozen apartments in the villa we normally have availability! French Riviera Mandelieu river front: Apartment to rent with its own Riviera boat mooring in gated Marina Parc. Drive down with your own boat and enjoy water sports in the warm waters of the Mediterranean to the East of Cannes. 1 bedrooms, sleeps 4 + cot. 2019: Good availability - please enquire..
Spain Costa Blanca Mijas Golf Course near Fuengirola: Luxury 2 bedroom town house in Puebla Aida. Casa Laura has use of swimming pool and overlooks the golf course just a few minutes walk from the first tee of both Championship courses. 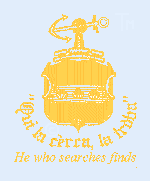 Tourist guides to restaurants, beaches and attractions in the Fuengirola area are in the property, a full information pack is also provided on booking. Discounts on long lets. 2019: Good availability - please enquire..
Spain Costa del Sol Benalmadena Costa : 2 bedroom holiday apartment The apartments is situated in a quiet location adjacent to Paloma Park (with its water fountains and animal centre), and within 5 minutes stroll of the beach, restaurants, bars and shops. Has a pool and can accomodate up to 6 people. 2019: Good availability - please enquire..
Spain Costa Del Sol Los Flamingos Marbella: Front-line golf apartment with easy access to beaches and entertainment for all the family. This rental apartment includes use of 2 swimming pools and has a huge South facing terrace with amazing views. Sleeps 4 in 2 bedrooms 2019: Good availability - please enquire..
Spain Costa Del Sol Mijas Golf Course: Luxury townhouse with use of swimming pool and special reduce rate green fees at the two Mijas Golf Courses. Discounts offered for long lets. 2 bedrooms sleeps 4 2019: Good availability - please enquire.. Ideal for winter holiday in sunshine Spain Canary Islands LANZAROTE Self contained luxury self-catering apartment rental with double bed in quiet rural area of Lanzarote (but only 10 mins drive from beach at Puerto del Carmen) with use of pool and English TV. Fully fitted kitchen. Good views of sea and mountains. Available September October through Winter Christmas and Spring for holiday lets or long term. Spain Costa Brava Ampurias: 2 bedroom village house to rent near beach in delightfully rural setting adjoining Forestry Commission protected landscape, archaeological site Three excellent golf courses near to Ampurias / L'Escala: Torremirona, (near Figueres) Pals, and Gerona. All are highly rated by experienced golfers and offer day facilities. 2019: Good availability - please enquire..
Spain Barcelona Costa Dorada South of Barcelona: Tarragona 4 bedroom apartment with sea views South of Barcelona on the Costa Dorada. This family holiday home is within a few minutes walk of a sandy cover that is ideal for children 2019: Good availability - please enquire. Spain Costa Brava Bay of Roses: (Canyelles Petites) - Quality 2 bedroom villas with pool, each accommodating 6 persons, stunning panoramic views overlooking secluded beach and one of the webmasters favourites! 2019: Good availability - please enquire..
Spain Costa Brava Roses: 2 bedroom bungalow holiday villa to rent with pool. 2019: Good availability - please enquire..
Spain Costa Blanca Jesus Pobre: Rental villa with separate annex and pool. for the perfect family holiday in a quiet rural location near to the beaches and golf on the Costa Blanca. 5 bedrooms, sleeps 10. 2019: Good availability - please enquire..
Spain Costa Blanca Orba:Luxury villa / apartment with pool for rental near Vall De Laguart, Costa Blanca spectacular views. 2019: Good availability - please enquire..
Spain Costa Blanca Moraira: Luxury Spanish style Villa rental with 5 bedrooms, 3 bathrooms, air conditioning and pool, sleeps 10. Only a few minutes from local beaches and near golf courses. 2019: Good availability - please enquire..
Spain Costa Blanca Holiday rental between Denia and Javea: large 6 bedroom villa with spectacular swimming pool and views - sleeps 12 - 14 2019: Good availability - please enquire..
Mallorca San Telmo near Andratx: - 3 bedroom house with balcony and roof terrace that overlooks the bay in a small fishing village. Sleeps 6. 2019: Good availability - please enquire..
Mallorca Illetas near Palma Convenient 2 bedroom apartment with gardens, pool, nice views near beach and golf facilities. HIGHLY RECOMMENDED 2019: Good availability - please enquire..
Mallorca Cala D'or apartments SELECTION OF LUXURY APARTMENTS ON A SMALL PRIVATE COMPLEX WITH POOL & GARDENS 3, 2 & 1 BEDROOMSAll have recently been refurbished to a high standard offering luxury accommodation with a/c (and heating for the winter period) in tranquil surroundings with pool and gardens 2019: Good availability. Mallorca Andratx: Beautiful furnished villa with independent apartment in the south of Mallorca (Andratx), with direct access to the Beach. Villa sleeps 6. Apartment sleeps 4. 2018 -: Good availability..
Mallorca Illetas near Palma Convenient 2 bedroom apartment with gardens, pool, nice views near beach and golf facilities 2019: Good availability - please enquire..
Spain Canary Islands LANZAROTE Self contained luxury self-catering apartment rental with double bed in quiet rural area of Lanzarote (but only 10 mins drive from beach at Puerto del Carmen) with use of pool and English TV. Fully fitted kitchen. Good views of sea and mountains. Available September October through Winter Christmas and Spring for holiday lets or long term.Currently long-term unavailable. TENERIFE Golf del Sur holiday rental apartment for a luxury stay in the Canaries. This 1 bedroom apartment comfortably sleeps 4 and is near Los Christianos and Playa Las Americas. Ideal for family and golfing holidays and just a five minute walk from the marina.Currently long-term unavailable. TENERIFE Apartment to rent at Christianos on the Amarilla Golf course 2 bedroom apartment with swimming pool near beach. Currently long-term unavailable.
" >Titirangi: Bed & Breakfast near Titirangi Beach, West of Auckland on the North Island in the Waitakere rainforest. Vacation accommodation in a glorious natural wilderness setting, near the artist community, yet just 30 minutes from the airport. 2 bedrooms and private bathroom. 2019: Good availability - please enquire..
Italy Rome Fiuggi, near Montecassino: Large holiday rental apartment in Fiuggi a spa town Just South of Rome. Ideal holiday accommodation to rent for exploring the cultural and heritage of the area including the famous Abbey of Montecassino. Easy bus and rail access to Rome. Sleeps 4 in 2 bedrooms. 2019: Good availability - please enquire..
Italy Tuscany Villa in Lucca to rent with pool Large luxury villa rental with 6 bedrooms for up to 12 people, staffed with Cook. Very beautiful with four poster and half tester beds and the Drawing Room has a piano. 2019: Good availability - please enquire and late booking possibilities. Italy Umbria Agriturismo farmhouse villa rentals on the Fattoria Spinola estate, just South of Perugia. Swimming pool, and beautiful rural setting. 2019: Good availability - please enquire. Italy Tuscany Lucca B&B: Bed & Breakfast at Villa La Chiusa near Lucca There are 5 bedrooms and your breakfast will be served in an elegant dining room or a beautiful walled Italian garden, which has a pool. With several sitting rooms and a grand salon, this is an ideal base for exploring Tuscany and historic Lucca. 2019: Good availability - please enquire and late booking possibilities. Italy Tuscany Forti dei Marmi seaside resort: Fully air conditioned house sleeps 6. A wonderfully traditional seaside beach resort, one of the most desirable in Italy 2019: Good availability - please enquire..
Italy Rome Fiuggi, South of Rome and Montecassino: Large rental apartment in Fiuggi spa town South of Rome. If you're looking for holiday accommodation to rent near Rome, this apartment in the higher altitude of Fiuggi provides welcome respite from the Summer heat of Rome, and provides an ideal holiday base for exploring the Ciociaria region of Italy. The Spa town of Fiuggi has a huge amount to offer families on holiday including a beautiful landscape, cultural, and heritage monuments including the famous Abbey of Montecassino. Easy bus and rail access to Rome for day trips. Sleeps 4 in 2 bedrooms. 2019: Good availability - please enquire..
About enquiring from this site . . . When enquiring PLEASE PROVIDE A TELEPHONE NUMBER. E-mail is not 100% reliable, so without a phone number our clients have no alternative means of contacting you. Enquiries go straight to the owner of the rental or property for sale . . . so if you are enquiring about more than one rental villa or apartment for sale or rent, please send an enquiry individually relating to each property. Except for pages for a minority of clients, your enquiry is not going to a letting agency for all the properties in a region - you are booking direct with the owner . . . and for the reason below, we feel that you can have confidence in doing so. As webmasters we are not acting as agents but are publishing what our clients have asked us to market for them. We expect that you should have a good experience buying a property for sale or booking a holiday rental through our clients, and if you don't (very rare), we like to hear about it! We beleive that you can have confidence in booking your holiday with our clients. pack a lilo in your luggage. If you have a property to sell or let for holidays in UK, Spain, Balearics Islands, France, Greece, Italy, Turkey, America, New Zealand... indeed anywhere in the world email the Webmaster david@antibes.co.uk DO NOT SEND .zip ATTACHMENTS. Please DO NOT SEND HTML EMAILS AND ATTACHMENTS: they are blocked through our servers. If you are buying a holiday property for sale we choose interesting places! If you're escaping Brexit you might need plastic boxes to move things with . . .